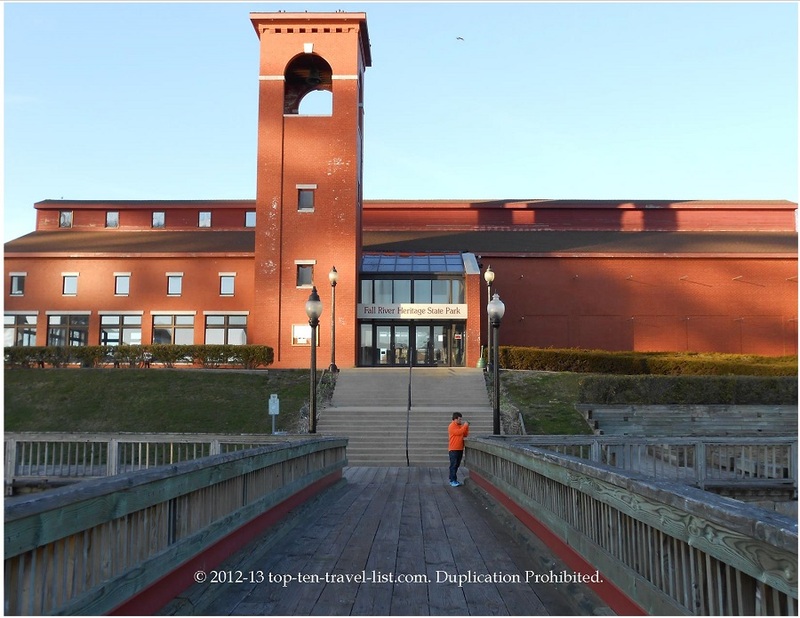 Fall River Heritage State Park: Fantastic Views of the Taunton River - Top Ten Travel Blog | Our experiences traveling throughout the US. 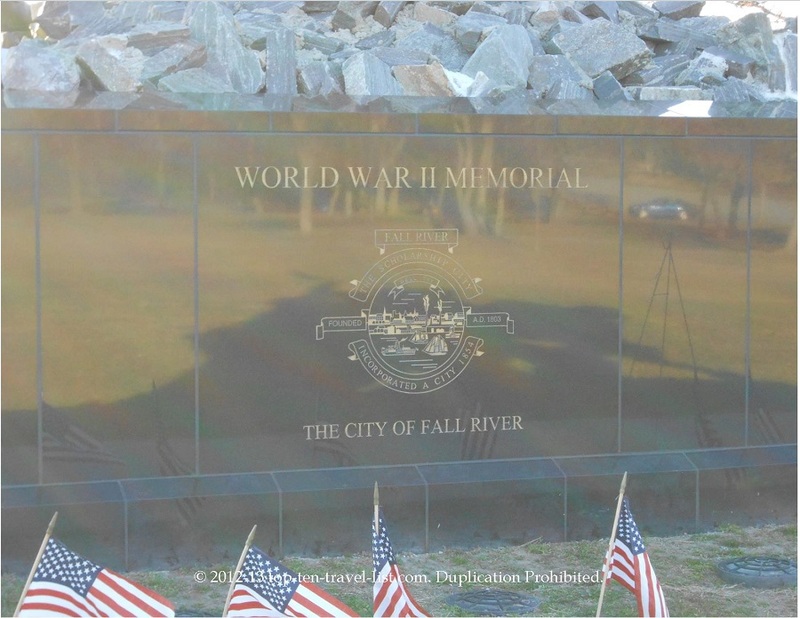 Fall River Heritage State Park is located on the Taunton River in Fall River, Massachusetts. 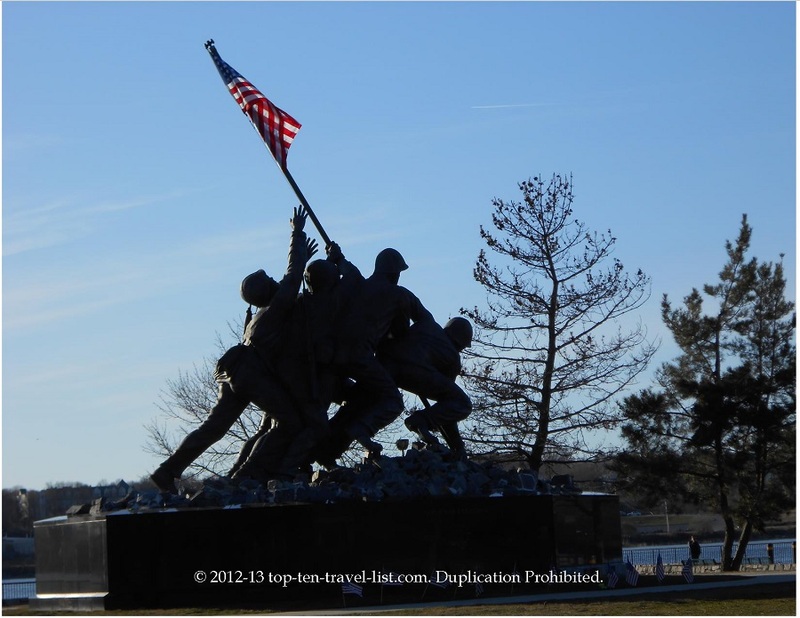 There is a small boardwalk (about a 1.25 mile walking path), an antique carousal, and a World War II Memorial. Adjacent to the state park lies Battleship Cove, a maritime museum and war museum. 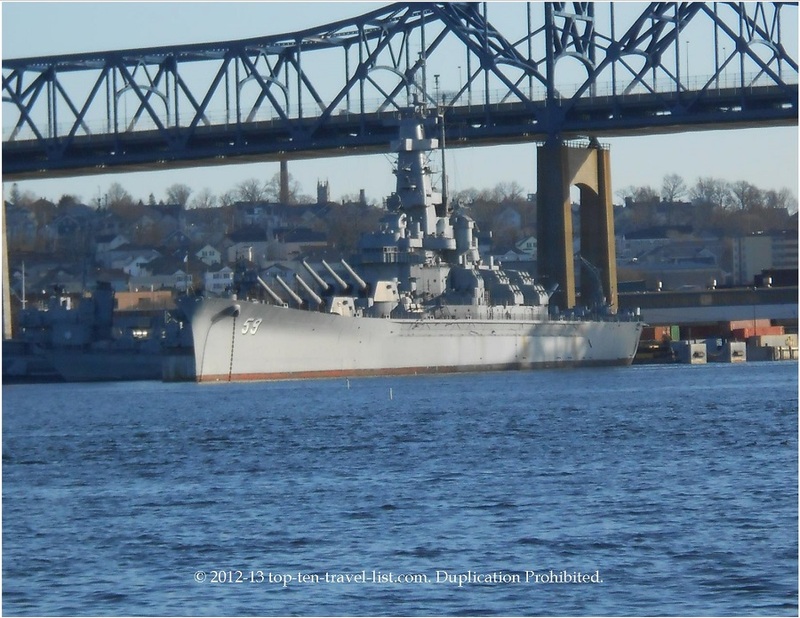 The USS Massachusetts is one of only eight United States Battleships remaining. 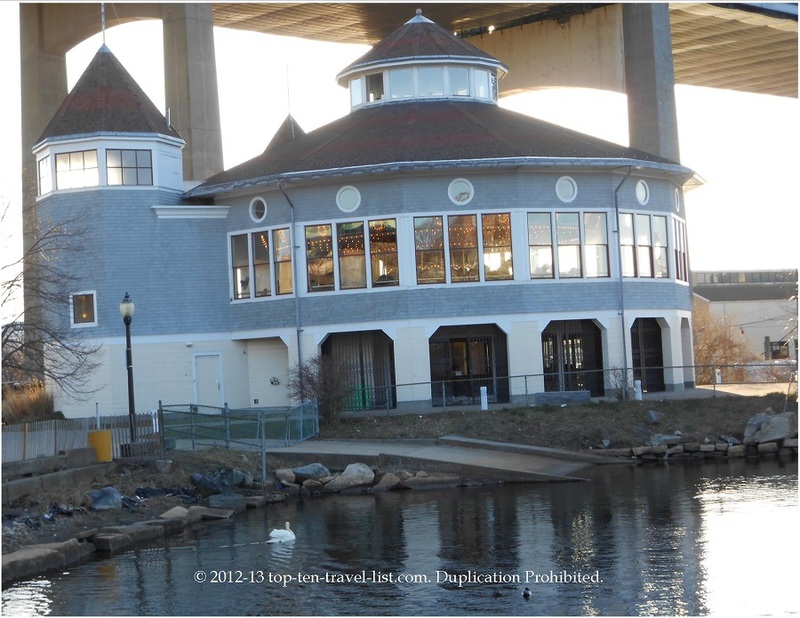 The walking path provides great views of the river, the Charles M. Braga Memorial Bridge, and the USS Massachusetts.